OCCC students, faculty and staff are being encouraged by the Wellness Taskforce to embrace the challenge of competing in the Tour de Route 66 Wellness Competition in celebration of the Tour de France. Tour de Route 66, an event to promote a healthier campus, is July 3 through Aug. 13. Participants may sign up through July 2. 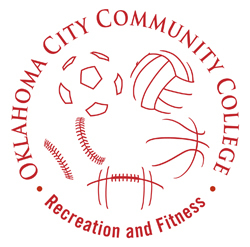 Registration, free of charge, can be completed by sending an e-mail to tourwithme@occc.edu . Faculty, students and staff are all eligible to participate. The tour is the latest effort by the task force to motivate employees to become healthier, said Legal Assistant and Risk Management Coordinator Lisa Vaughan. Vaughan said each participant will be assigned a piper bicycle on a map, competitor number and bike color after choosing one of three levels on the route. They also will be responsible for keeping up weekly with their minutes of exercise and submitting their totals electronically on a weekly basis. The winner each week given a yellow jersey to wear for that week, Vaughan said. The three courses will include: a 121-mile course of Miami, Okla., to Tulsa; a 237-mile course of Miami, Okla., to Oklahoma City; and a 395-mile course of Miami, Okla., to Texola. The miles represent how much a competitor has traveled in terms of exercise while traveling around on the map at the same time. Participant’s bicycles are added to a map, segregated by level, and two miles is awarded for at least 10 minutes of any exercise. The progress of each competitor is displayed on the map in the hallway near the Recreation and Fitness office. The scoreboard will encourage all who see it to get up and get active, and utilize the Wellness and Aquatic centers as well as to finish all aspects of a race, not to just win says Erin Logan, Student Relations and Student Services director. “I want to work out and help others as well, encourage students to get involved in clubs and to create opportunities for themselves,” Logan said. Participants also are invited to a healthy meal cook off at a date to be later determined which also will include taste testing, Vaughan said. In addition to the Tour de Route 66, the Wellness Taskforce members are also planning a free “3 Lunch N Learn” session throughout the competition. The sessions center around three aspects: cancer prevention, bike safety and cooking healthy meals with food grown in Oklahoma. For more on the Tour de 66, contact Lisa Vaughan at 405-682-1611, ext. 7148, or lvaughan@occc.edu .